New Year’s Eve fireworks over Niagara Falls, Ontario. New Year’s Eve in Niagara Falls is going to be a spectacular affair, and the musical lineup for the annual free concert in Queen Victoria Park has just been announced. This year’s concert will feature an all-Canadian lineup of acts including Marianas Trench, Simple Plan, country singer Jess Moskaluke, and Ontario country band, The James Barker Band. 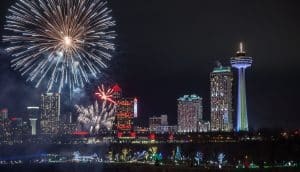 The Niagara Falls New Year’s Eve celebration in Queen Victoria Park is one of the country’s largest and most exciting outdoor celebrations and will also feature a midnight countdown followed by a dazzling fireworks show over Niagara Falls. The Sheraton on the Falls is offering visitors a number of incredible New Year’s Eve experiences that will make for an unforgettable getaway, including exclusive dining events at Fallsview Buffet and hotel stay packages that include world-class accommodations in the Sheraton’s Fallsview guestrooms. The year-long Canada 150 events that have been happening throughout Niagara and the country will also be drawing to a close and Niagara Falls is the perfect place to go for one last celebration. 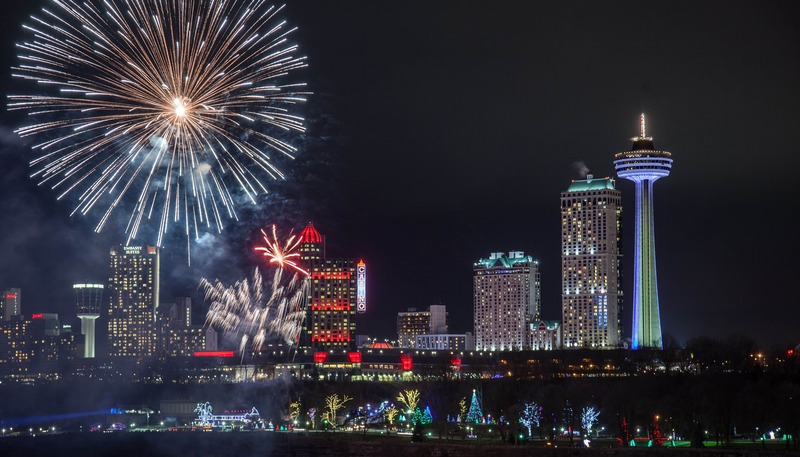 The city offers so many wonderful dining, entertainment, and accommodation experiences for people of all ages to enjoy, so start planning your Niagara Falls New Year’s Eve getaway today.